BP has spent $2.35 billion dollars to date to clean-up, contain and pay claims for the largest oil spill in U.S. history. They’ve established a $20 billion dollar reserve to deal with ongoing obligations and liabilities from the oil spill. Despite BP’s efforts to stop the oil from continuing to pollute the environment, 35,000 to 60,000 barrels of oil continue to spill from the well. Each day. 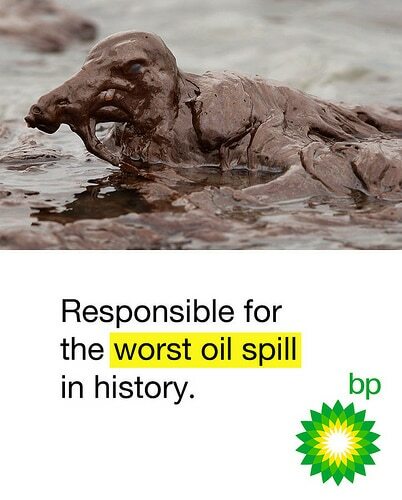 What would you do if you were BP and received potential solutions to deal with the oil spill? Would you at the very least examine those ideas to see if some could help? BP refused to even examine nearly one thousand potential solutions offered by the technical experts at InnoCentive, an online crowdsourcing community. Since 2001, InnocCentive has helped companies, the public sector, non-profits, and academic institutions find innovative solutions to challenging technical problems. Innocentive has a global network of more than 200,000 engineers, scientists, inventors, and business people who are experts in physics, chemistry, math, life sciences, computer science, and many other fields. Recently, an explosion on an offshore oil platform in the Gulf of Mexico caused both loss of life and a sizable and ongoing oil spill. We are asking Solvers worldwide to respond quickly with ideas and approaches to react to this very serious environmental threat. This is an Emergency Situation Challenge and will be quite different than any other Challenge we have run on the InnoCentive website. No one has requested us to do this and InnoCentive is not getting paid to run this Challenge. We are doing it because we believe our Solver base can and will help and we will do everything we can to get solutions into the hands of the appropriate responders. This is an experiment and we believe our Solvers will answer this call for help. We believe trying to mitigate this international disaster is the right thing to do. InnoCentive offered the proposed solutions to BP for free. Remarkably, BP refused to even look at the proposed solutions. BP’s arrogance should be a wake-up call to all companies who refuse to embrace new technologies and new approaches to find innovative solutions to problems.